The Louisville government is turning their attention to the Portland neighborhood through the Portland Pride Project, which aims to renovate homes and revitalize the neighborhood. Seventy five homes in the historic neighborhood have been selected to receive renovations as part of the initiative, which is focused on preserving home ownership, strengthening the neighborhood and increasing economic development opportunities. 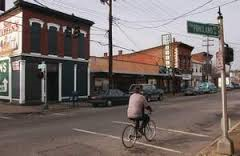 The revitalization effort is funded by $2 million in federal Community Development Block Grant funds that were awarded when Portland was selected to be Louisville's first Neighborhood Revitalization Strategy Area in 2011. This award came as a result of Portland meeting federal criteria as a distressed neighborhood. The NSRA focuses on rehabbing the exteriors of homes and making facade improvements, resolving property code violations and reducing lead paint in homes. To find other interesting articles about community development, please visit our Louisville Homes page. 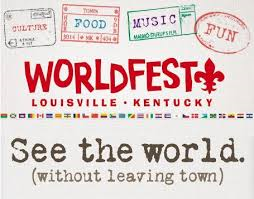 See the world without leaving town at the 2013 WorldFest! WorldFest is one of the region's largest international festivals and is celebrating its 11th anniversary with four days of expanded world food, music, dance, culture and education this Labor Day weekend. Guests can look forward to multiple performances on three stages of local and international talent, a world of cuisine, shops around the world and a parade of cultures. There will be delicious samples of authentic food from nations around the world, including Germany, Thailand, Jamaica, Ethiopia and more. Additionally, there will be a plethora of shops so you won't leave empty handed! There will be craft booths selling handmade products with styles from Africa, Asia, Europe and Central and South America. To find other events in the area, please visit our Louisville Real Estate website. 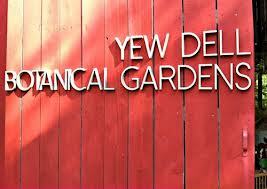 There are several events happening at the Yew Dell Botanical Gardens in Crestwood this late summer and early fall! The first is the Hummingbird Festival, which takes place on Saturday, August 24th. This event is an opportunity to learn about these amazing little birds, how to attract them, how to keep them coming back and a whole lot more. Local experts will catch and band birds, offering an excellent opportunity to see them up close. Hummingbird plants will also be sold, along with several kid's activities, refreshments and tours. Tickets are purchased at the door with prices being $7.00 for adults, $5.00 for seniors and free for kids under 12. Another highly anticipated Yew Dell event, Twilight in the Garden, is happening on September 25th and has become one of the most anticipated fundraising events of the year. Additionally, there are teaching classes all year long with Dividing Perennials occurring on October 12th. You don't want to miss this workshop - come for a class and go home with an armful of great plants! To find other fun community events in the area, please visit our Louisville Homes website. This Saturday is the 12th Annual Antique Tractor, Car and Engine Show at Dale and Betty Rich's 60-acre farm benefiting Kosair Charities. At the event, guests can enjoy an abundance of antique tractors, cars and motorcycles. In addition to this, there will be a live auction, live music, barbecue and a wealth of family fun! 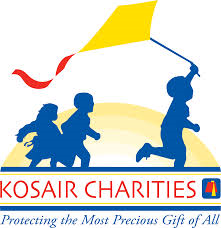 All of the proceeds raised by the event benefit Kosair Charities. This event, which happens every year, was started by Dale and Betty Rich and has raised almost $140,000 since 2002. They invite guests to their farm to check out vintage farm machinery and automobiles, plus bouncy houses, tractor rides, a dunking machine and much more! 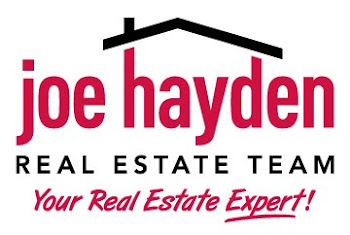 To find other fun events in the area, please visit the website of the Joe Hayden Real Estate Team.